The line of Age Kitchen Tools is dedicated to all Home Chefs, adults and children alike! The 'Junior' accessories come in solar colours and simple design, appealing to both boys and girls. The 'Parents' accessories are perfect for sophisticated women and men keen to be elegant in the kitchen. 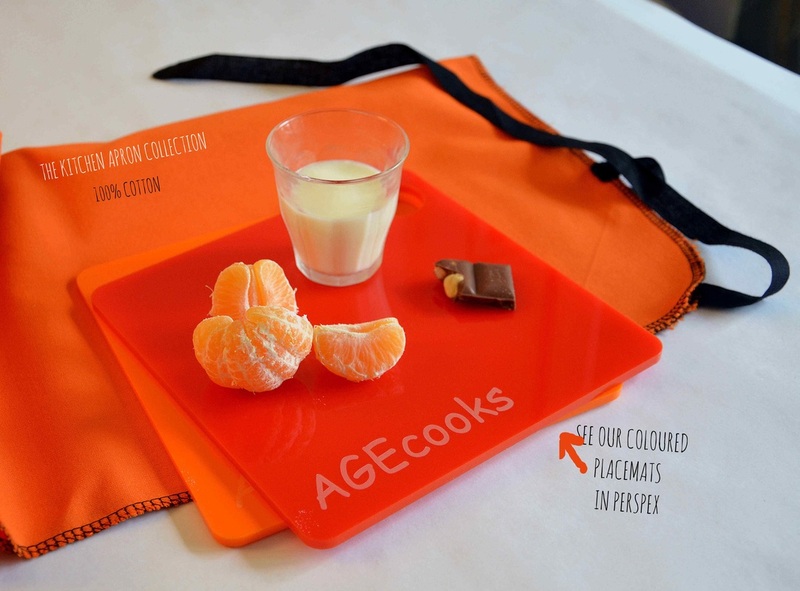 Aprons are 100% cotton, perspex boards are suitable for food use, wooden boards are hand-treated with oil for food use. Choose Your Next Kitchen Tool for You... and Your Children Alike! 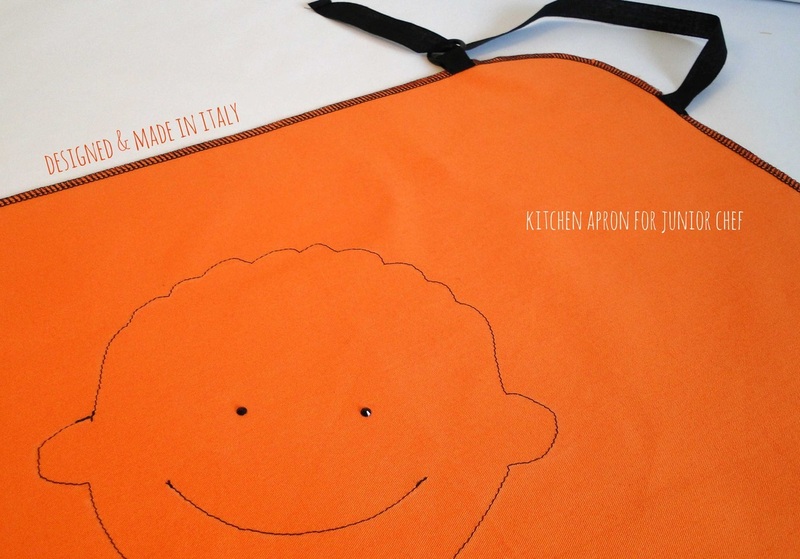 The Orange Junior Chef Apron with solar colour and simple design are for both boys and girls. The neck closure is designed to ease the child's movements. The sewn logo eyes are Black Swarovski crystals! The Parents Black Apron is perfect for sophisticated parents keen to be elegant in the kitchen. 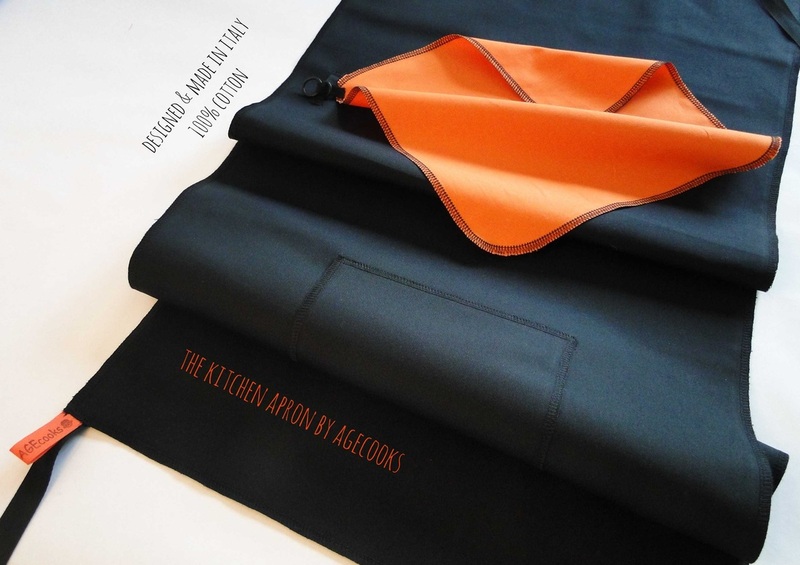 With a large pocket on the right for the chef's smartphone and an orange cloth for cleaning hands on the left. Beech Wood from responsible sources. The beech wood chopping boards are treated by hand with oil for food use. 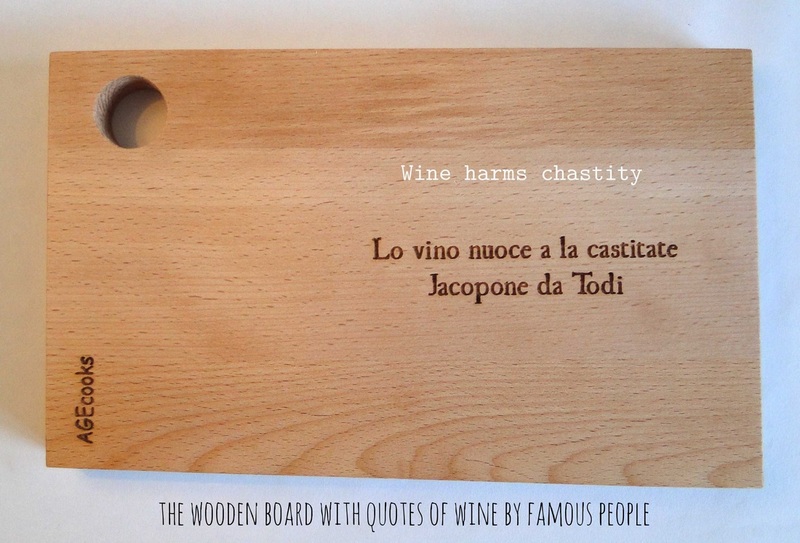 They have an original laser-cut quote of food and wine by famous people.